Sullivan Sewer Service is a full service septic pumping company specializing in residential and commercial septic pumping. Sullivan Sewer Service provides septic services to residential and commercial customers. We have a fleet of trucks for different size jobs and applications. 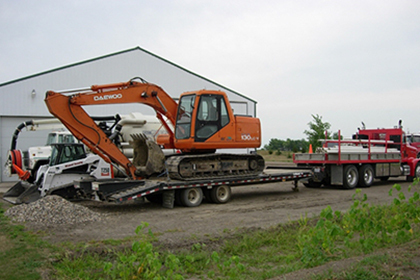 Our highly trained and friendly staff is available 24 hours per day for emergency septic service. Sullivan Sewer Service will always respect your property and offer clean efficient service at a great price! If you are unfamiliar with how your septic system operates our staff will be happy to walk you through how your septic system functions and what areas will need maintenance. Your waste will be handled and disposed of in the safest and most environmentally friendly way possible. Sullivan Service will notify the city or county that your maintenance septic pumping has been completed to stop you from receiving more notifications. We will also handle any permits that are required. We also offer pipe jetting and pipe televising and locating. 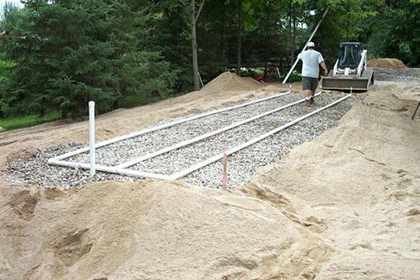 Sullivan Sewer Services provides excavating services for septic related excavating needs. ASPCA and Humane Society from every service we complete.